The North Star Quest is a key experience at the beginning of a student's junior year at Great River School. 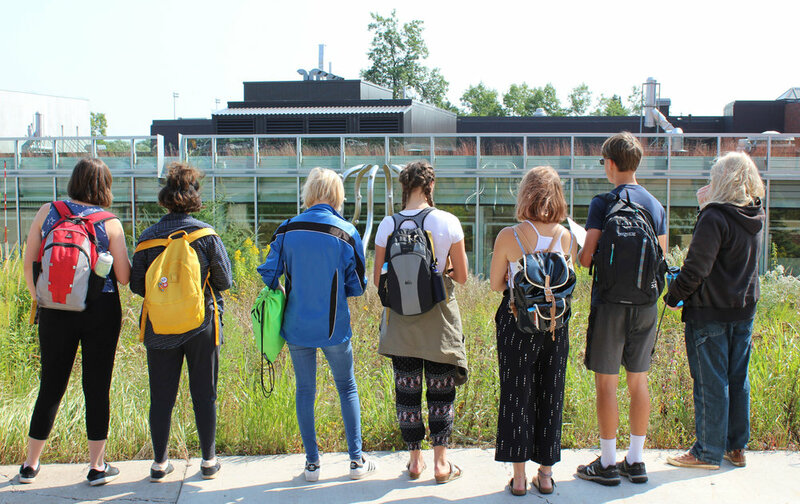 It consists of visits and tours to the following post secondary schools, including: University Of Minnesota Duluth (MDU), the North House Folk School, Northland and a choice between St Olaf and Carleton. -Guthrie Pritchard and Micah Swanson. Early on Monday morning about fifty, mostly tired, juniors showed up to the Great River parking lot, ready to camp, sweat, and tour colleges. They loaded all their bags and selves on the bus, before John, the bus driver, took off! The trip to Duluth went smoothly, thanks to gorgeous weather and plenty of food. Two hours and one broken window later (John, the wonderful driver, met his match with a stop light in Duluth), they arrived at UMD. After listening to an info session about the school they dispersed into small groups to go on a self guided tour for an hour, before getting back on the bus. Finally the juniors, their guides and John arrived in Grand Marais. In groups of three or more, they went out to explore the town, the surrounding beach area, and cook dinner. In the morning they entered the folk school, splitting into groups and completing different traditional crafts. 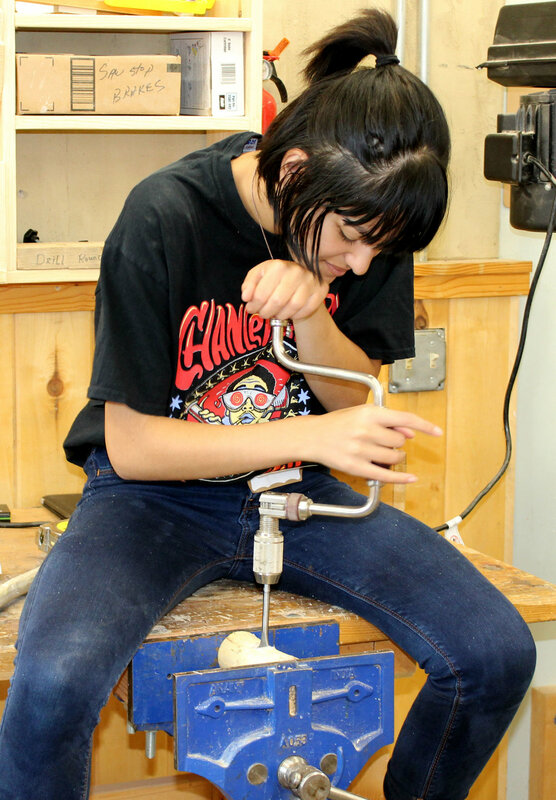 These included: blacksmithing, wood carving, bread baking, mallet making and felting. As the bread came out of the oven, John and the bus appeared, to whisk the buccaneers and their guides away. The next day, they took off for Northland. It was almost unanimously agreed that Northland was Great River School reincarnated into a college. Before embarking on their longest journey yet, our weary travelers satisfied their hunger in the Northland cafeteria. A sundae bar made itself available, to the great excitement of the students. Five long hours later, students poured out of the bus into a rustic campsite, buggy and humid, right outside Northfield. In honor of their last night, pizza was provided and devoured for dinner. The sun rose only an hour or so before they woke up, took down their tents, fueling up once more for the last college tours. Given the time constraint and location of the next two colleges, students had been asked to choose between St. Olaf, a school known throughout the A3 as having the best cafeteria, and Carlton. Half the students got off the bus at St. Olaf, where they received a student led tour and info session. The other half went to Carlton, where they were greeted by crisp autumn leaves, old collegiate buildings and a woman named Carla. Carla gave them a long info session before letting them go wander around campus. After lunch, everyone met up at a square in downtown Northfield, and loaded onto the bus. An hour later they arrived back at Great River School, where they unpacked the bus, and headed home.